The voter registration drive at The Beacon was a real success. We registered 18 new voters, and helped many others start the process of obtaining vital documents needed to vote. The registration drive was a joint effort with the County Clerk Scott McDonell's office, League of Women Voters, and The Beacon. I was happy to organize this voter registration drive, as it is vitally important to have a strong connection between our district and The Beacon. I had many conversations with the patrons and the staff, and I feel confident that we will work together to continue our strong relationship. You can read more about the voter drive in The Capital Times. We have an important primary coming up on August 14th. Please make sure you are registered and ready to vote. I also suggest considering voting early. I plan to take pictures and provide a full report of what we see on the tour in my next update. It is nice to travel from the meeting room to the actual sites, seeing hands-on what conservation practices we are putting into action. AtwoodFest is fast approaching this weekend! It will be a two-day party in the streets with great music, a variety of food and beverages, and a special kids' fest inside the festival. It is all kicked off with a series of parades from different parts of the neighborhood called The Convergence. 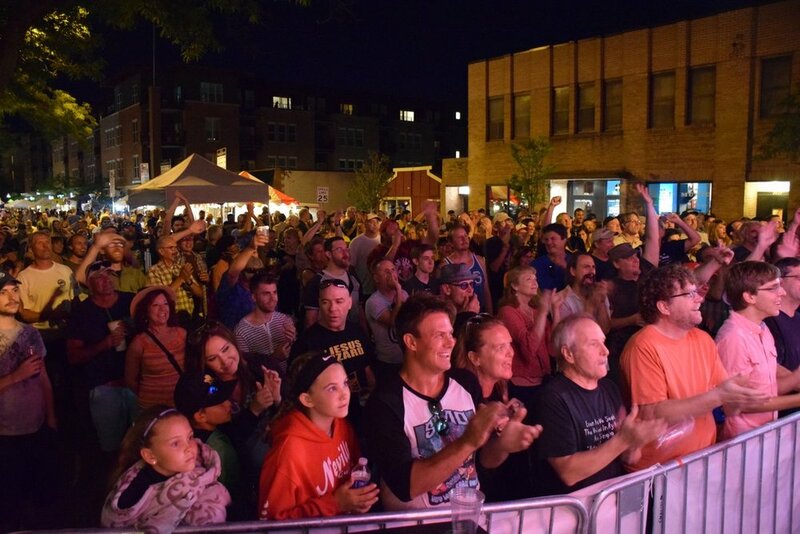 AtwoodFest is a partnership among the SASY neighborhood association, The Wil-Mar center, and The Barrymore Theatre. Did you know that a lot of the money raised at all our neighborhood festivals goes right back into the community? The SASY neighborhood association has regular grant cycles where neighborhood groups and organizations apply for funding. Projects range from park improvements to the arts, to playground equipment for schools and therapy dogs to help kids in trauma (the list goes on and on). None of this would be possible without your support of AtwoodFest. I will be working all day Saturday at KidsFest with my family and doing a DJ set with my daughter at 3:00. Please stop by and say hi, or come down to bust a move. I am happy that County Executive Joe Parisi appointed me to Dane Arts, the Cultural Affairs Commission. In 2018, Dane Arts has granted artists over $132,000. This includes visual arts, writing, dance, and music (including support for Marquette Waterfront Fest and Fete de Marquette). The support of artists of all mediums is a value that runs deep in our neighborhood, and I am honored that I have the opportunity to support these efforts in my role as County Supervisor. 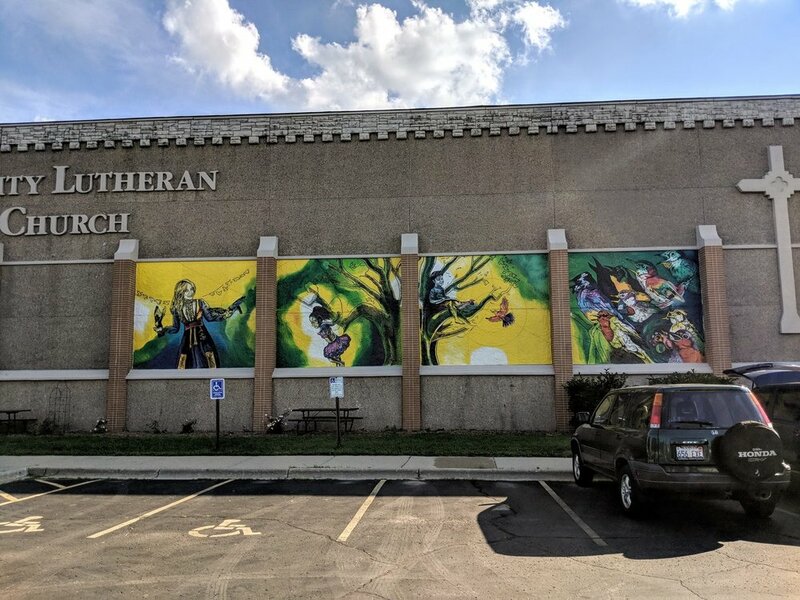 This weekend we will have an unveiling of a mural project by artist Jenie Gao at Trinity Lutheran Church on the corner of Winnebago and First Street. Dane Arts provided support to Dane Arts Mural Arts to help with this project. It is visually stunning, and you can learn more about it at the dedication this Saturday. There are two openings on the Marquette Neighborhood Association (MNA) board of directors. MNA is very active in festival planning, historic preservation, transportation issues, and balancing new development while maintaining the character of the neighborhood. Please contact MNA president Lynn Lee (lynn.lee90 (at) yahoo.com) for more details. The deadline is Thursday, July 26th.